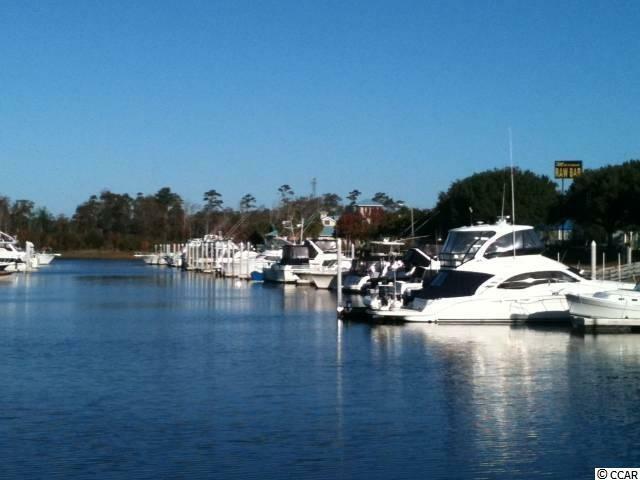 ONE of the ONLY 40' boat slips available for SALE at Dock Holiday's Marina located in the heart of CHERRY GROVE on the ICW. The Cherry Grove Swing Bridge is located one mile away and also conveniently close to Hwy 31 connector. Dock Holidays Marina is on 13th Ave N off Hwy 17 just behind Boardwalk Billy's restaurant and is surrounded by wonderful new restaurants and shops. Come see the beautiful views from slip A-34 and have a bite to eat or a cocktail that is just walking distance to Dock Holiday's Marina!! !